Creating really intricate nail designs with crisp lines and fine details can require great freehand skills and a lot of time. If you are new to nail art designs or you’re just too busy, this can be a big problem. This is where the best nail stamper fits in. This tool can save you not just time but money, too. You won’t have to go to expensive salons just to get your nails done or spend hours perfecting your nail art. Now, to get started, here are the top products that are definitely worth the hype. Go check them out. Ejiubas Jelly Clear Nail Stampers easily took the top spot in this list of the best nail stampers. It’s easy to use and promises accurate stamping. The stamper head measures 1.1 inch and it fits most nail sizes. Its jelly silicone, on the other hand, picks up patterns from the plate easily. You won’t have to worry about the pattern smudging as you lift it off. This set comes with a sandy scraper so you can easily remove excess polish from the plates. Another thing you’ll love about this stamper is how easy it is to clean. You won’t have to use a 100% acetone or any nail polish remover. Just get a lint roller or a tape to remove residual polishes. If you are looking for a stamper that can help you create little images, Konad Nail Art Double Ended Stamper And Scraper is the one for you. It’s so precise that you can even use it on your kids’ nails. This stamper has two ends with different sizes and colors. The larger stamp head red and it fits most nail sizes. The green end, on the other hand, is smaller so you can use it for single tiny images. As for the scraper, it does a good job in leveling the paint on the stamp plate. One thing you have to be careful about this stamper is that it tends to collect dust and hair. You need to properly store it to avoid build up. In case you are new to nail stamping, Born Pretty Nail Art Templates and Stampler is the perfect kit for you. For its price, you’ll get 4 high-quality stainless steel plates, a scraper, and a jelly stamper. The designs of each plate are etched deep enough to hold the right amount of polish for your nails. 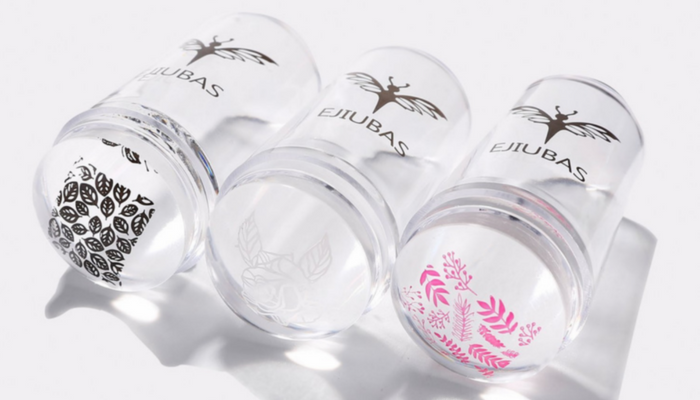 The stamper, on the other hand, is clear so you won’t have to deal with lining issues. The kit already includes a scraper but it’s a bit thinner compared to the other ones in this list. 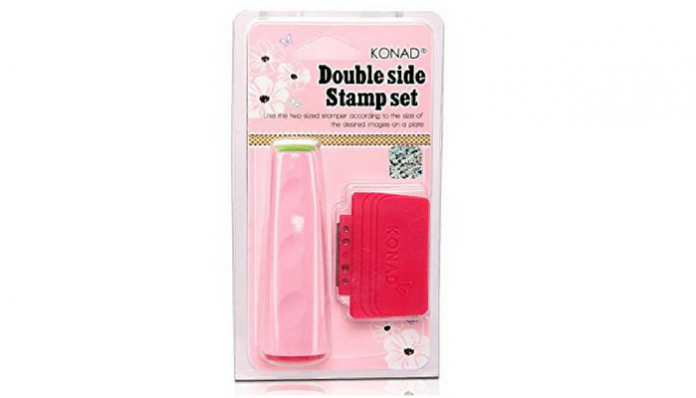 BroadFashion Double Ended Stamper is perfect for both beginners and professionals. It’s easy to handle and operate, allowing you to create designs in just seconds. The package comes with three double-ended stampers and 4 scrapers. This allows you to stamp small to large designs without any issue. Another great thing about this stamper is that it works even with regular polishes. 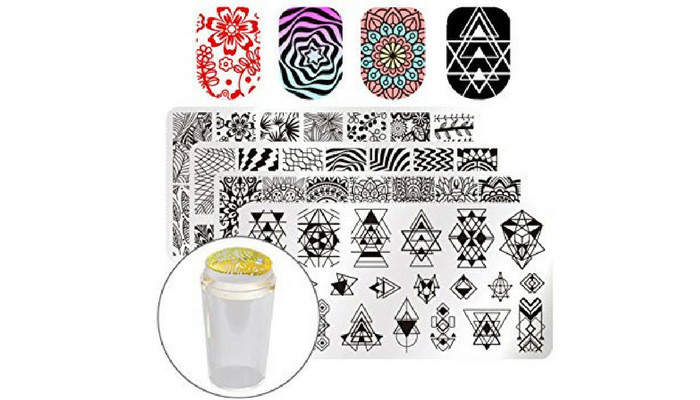 For nail enthusiasts, this Ibeet Nail Art Templates and Stamper kit is one of the best investments you can make. It comes with really cool designs to help you show off your personality and style. 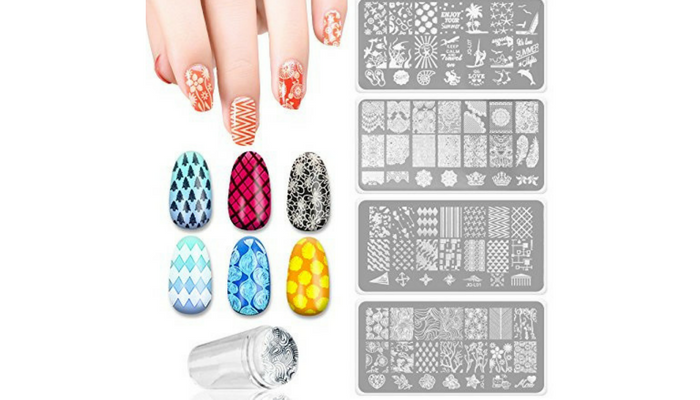 These designs are well etched so you won’t have any issues transferring them to your nails. The plates are made from high-quality stainless steels which makes them sturdy enough to use regularly. The set is compact that you can even take it with you when you’re traveling. And the best part? You can actually use it on almost all types of nail polishes. It works with UV gel, acrylic nails, and regular nail polishes.